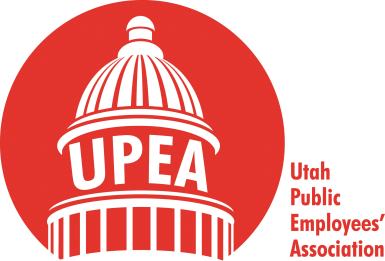 The Utah Public Employee Association (UPEA) is proud to participate in the Public Employee Salute Program. The idea for the program began in 1999, when a past UPEA executive director noticed that KSL Radio had a special segment to recognize Utah teachers. The segment is commonly known as the “Teacher Feature.” However, there was no feature recognizing Utah’s public employees. The following year, the UPEA and Mountain America Credit Union Public Employee Salute program began. The following individuals have been nominated and recognized with the Public Employee Salute for their hard work for the state of Utah. Larson is a supervisor at the Department of Workforce Services. She has worked for the state of Utah for the past 30-plus years. As a supervisor, Larson is committed to developing strong relationships with her coworkers. Her dedication and commitment to her staff encourages them to provide the best customer service to the public. An example of this is when Larson rewarded a coworker for helping another coworker out of a sticky situation. While the knowledge of this reward was just between Larson and the two coworkers, this simple action helped solidify teamwork between the two employees. Not only is Larson dedicated to recognizing coworkers in her office, she is also known for recognizing DWS customers. One example involves a student who was struggling to pay for her tuition. Close to the end of her schooling, but “maxed out” of funding for tuition, Larson was instrumental in getting this student extra funding to finish her last semester. Beddoes is a grounds supervisor at the Utah State Hospital in Provo. He is one of the most positive employees on the campus and is always willing to help with any issues that arise. He has single-handedly been responsible for entering the maintenance department’s inventory on the new accounting computer system. Beddoes is widely known for his customer service, bright smile, and willingness to help anyone at the State Hospital. Nelson is an environmental health scientist at the Salt Lake County Health Department in Murray. He is an expert with any technical problems that arise in the department, and excels at making charts and graphs on the computer, helping the Food Bureau to run more efficiently. Nelson is always willing to help employees with any questions or issues, is good at resolving conflict, and handles all problems with a warm and quiet demeanor. Agent Roskelley has served the community for more than 20 years in the Utah Department of Corrections. She helped develop the mental health court program more than 10 years ago, and has since served as the mental health court probation agent as well as the court liaison for video arraignments. She takes on the role of a mentor and cares for those she works with. Roskelley is always willing to assist with any issues that arise and is always available for calls after hours. She is the first agent called when questions occur, and she is the go-to agent by her coworkers for anything that comes up. She cares about her clients, and works hard to help them be successful. Her goal for the past 20 years has been to ensure a safe community. Schiedell is an employment counselor at the South Davis Office Department of Workforce Services. His many skills afford him the ability to work with all clients, but he primarily works on youth training cases. Schiedell works toward his commitment of helping clients attain self-sufficiency through employment, training, and any other assistance needed. He listens whole-heartedly to clients, helping them to solve problems and overcome barriers and obstacles. He is thorough, analytical, and reliable, emphasizing that no goal is too hard and no task too impossible. Smith is a great asset to the Department of Workforce Services (DWS) as a business relations specialist. He is an easy-going person who handles his position in the utmost professional manner. Smith is responsible for coordinating both the Employer Workshop and Workability Job Fair, which take place four times a year. Much planning is involved in creating these events, which provide valuable information to employers regarding hiring individuals with disabilities. His expertise in business relations helps make these events a success. Smith has a way of bringing coworkers and committee members together as a team. He is a true team player who helps make the events and day-to-day life in the office run smoothly. He doesn’t mind being assigned other responsibilities and is always willing to drive his coworkers in the state van to DWS events. Smith is an awesome person to work with who is always friendly and courteous. Lund is the Bookmobile program manager for the Heritage and Arts Department, working nonstop to provide library services to the rural areas of Utah. Lund’s hard work helps bring the magic of the written word to the schools and assisted-living centers in small-town Utah. To these communities, the Bookmobile provides library services that otherwise would not be readily available. Lund helps to make possible the experience for a kid to go to a “library on wheels” to find a book that provides information on subjects they have never heard before or read a story that exercises their imagination. Lund works tirelessly to provide well-trained and motivated staff while ensuring that the trucks are well-maintained and on schedule, offering up-to-date and relevant collections to the patrons they serve. With tight budgets and ever-looming cuts, Lund has been creative in providing this service to as many communities as possible. UPEA wants to congratulate all of our Public Employee Salute winners and thank them for their extraordinary work for the state of Utah. 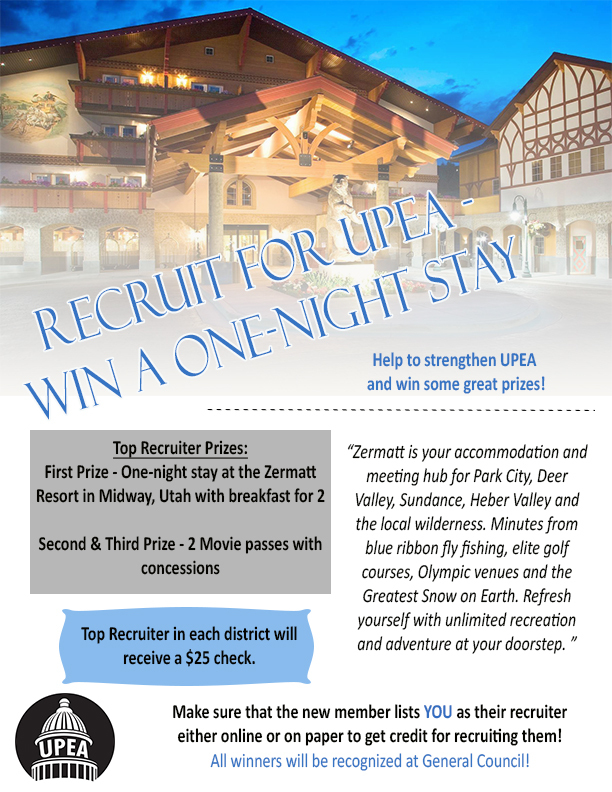 The Public Employee Salute is an ongoing program UPEA is proud to be a part of. Please nominate any fellow coworkers who you believe deserve recognition for their hard work.